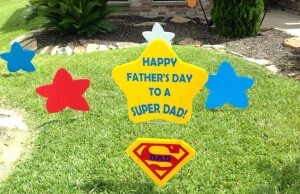 Do something special for the men in your life! 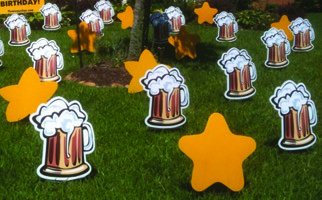 Our custom yard displays are the perfect unique gift to make his day even more special! The beer mugs say it all! 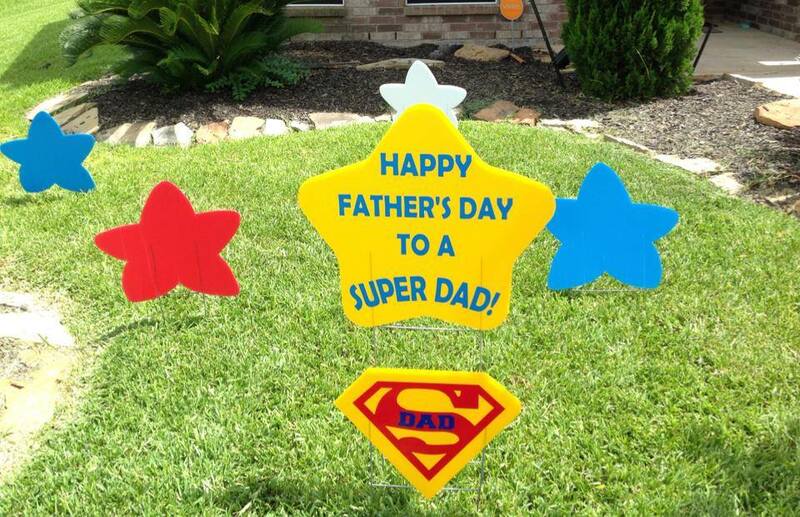 Cheers to your Dad, Husband, Grandfather, Uncle or other special man in your life! 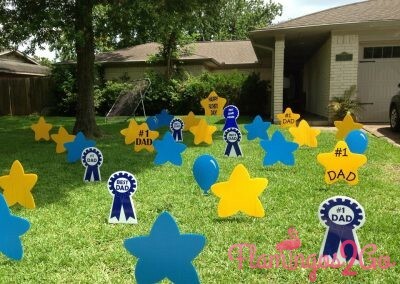 This is a very fun Father’s Day theme! 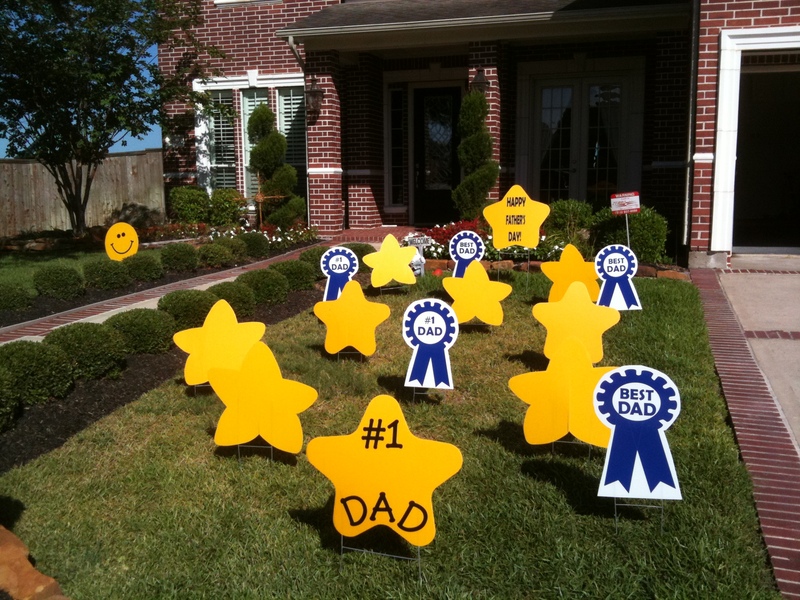 Our Blue Ribbons and Yellow Stars are a great way to tell your Dad, Husband, Grandpa or any other great man in your life what a prize they are! 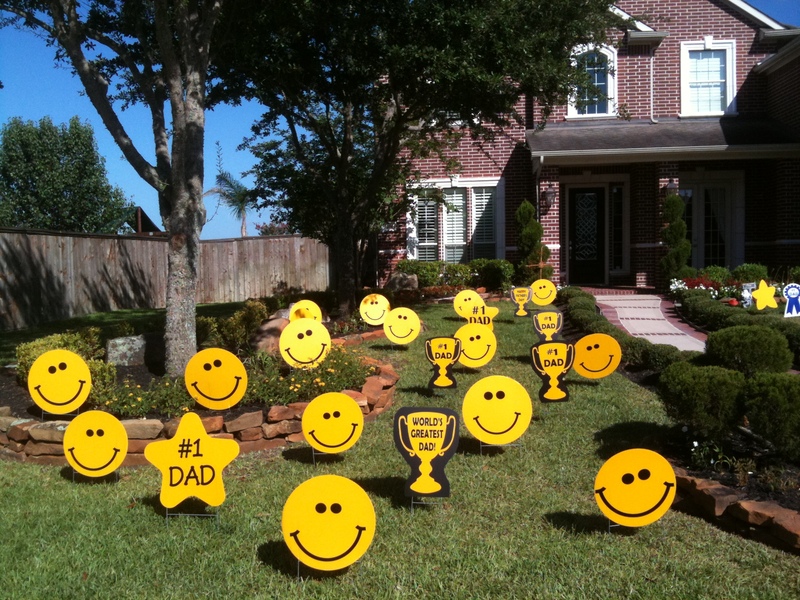 Use our First Place Trophies to tell dad how great he is! 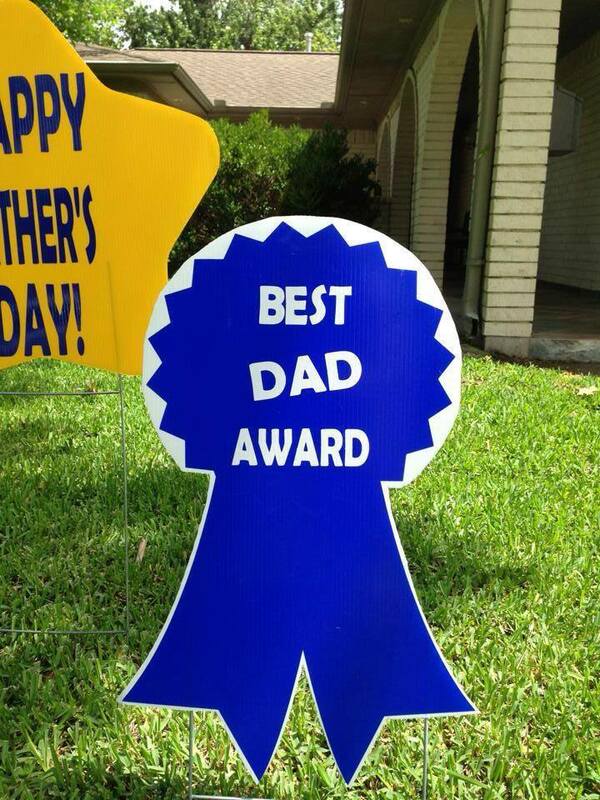 Trophies have various sayings: World’s Greatest Dad, #1 Dad, Happy Father’s Day, etc. Mix them with smileys for a super sweet touch. 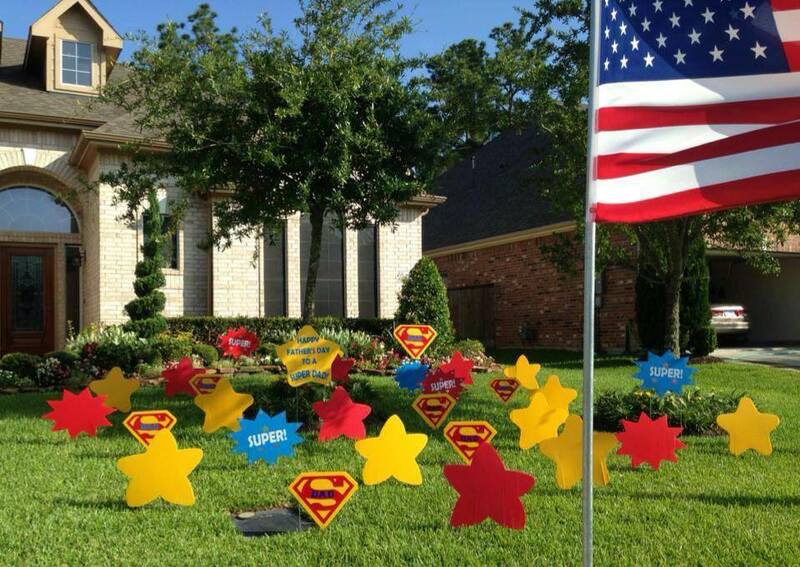 Is your Dad, Husband, Grandfather or other special guy a golfer? 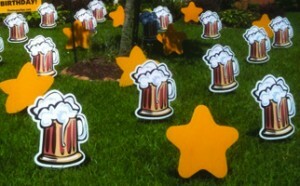 Make them feel very special with our “Tee-Rific” Golf Theme Display! 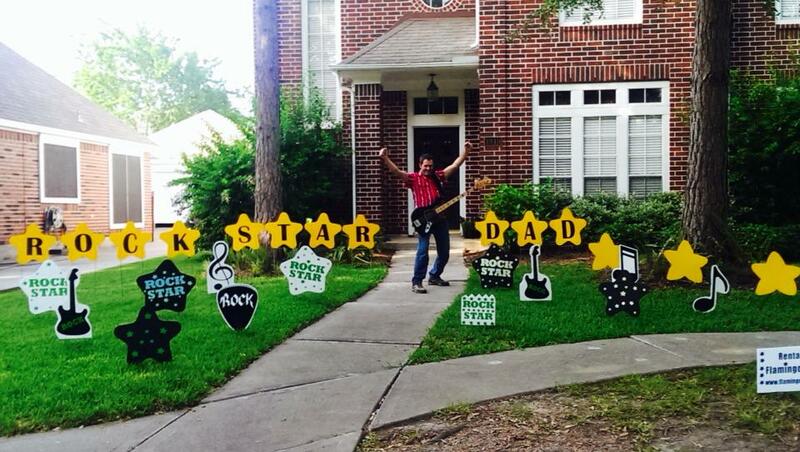 Rock Star Dad is perfect for the musician or music loving dad, grandpa or husband! Music & stars=Rock Star Dad for Father’s Day! 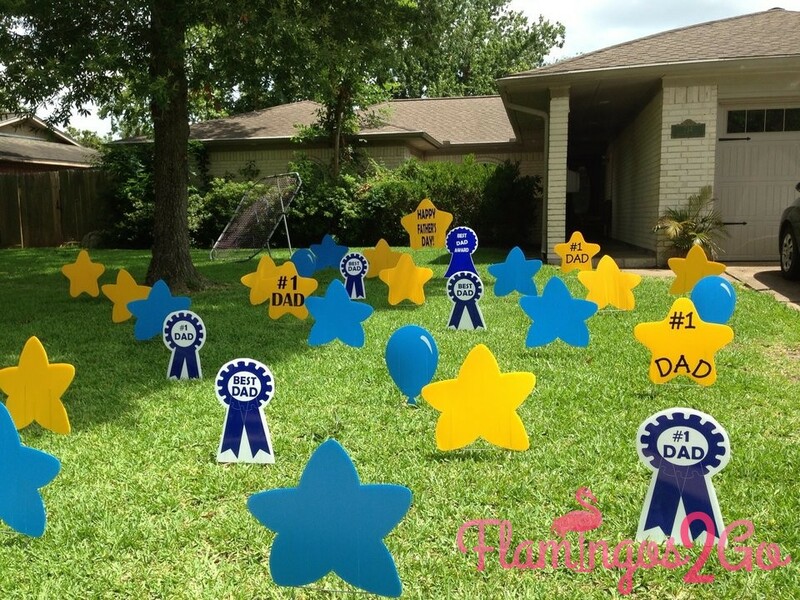 Flocks of Love For Father’s Day! 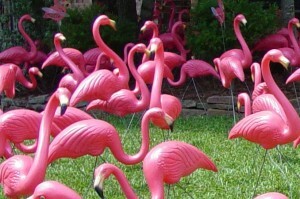 Of course, no special occasion is complete without suggesting the kitschy pink flamingos. They are great for everything!! Superman theme with red and blue stars. 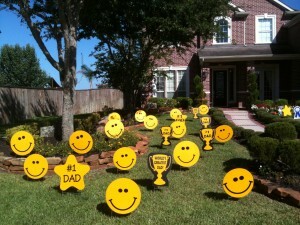 Say We Love You to your Dad, Husband, Grandfather or other special guy with our sweet red heart lawn letters. Thanks F2G! My bestie loved her flock!! Excellent communication, punctual service, and friendly to boot. Chris Ann went beyond my expectations & made my Mama one happy lady. A very unique and memorable gift. Heartily recommend! 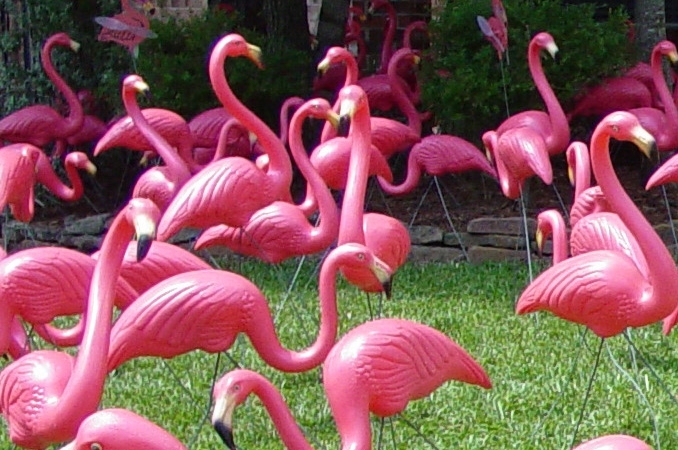 I am so thankful for the care we received with Flamingos2Go! My daughter and son-in-law were so surprised to arrived home with their brand new baby twins. They both had grins from ear-to-ear as they stood in front of the precious storks and keepsakes. Thanks to this professional and personal company for their patience and timely support on our very special homecoming.